For the last month many of us have eagerly awaited the public release of the GAO's report on the Wild Horse and Burro Program. We just knew, based on their previous investigations, that they would do an incredible and in-depth report based on their previous investigations. In our minds we just knew that while it might not come down fully on the side of the horses, it would be fair and truthful. The BLM must have had such a hard time not to laugh in our faces. While we had to wait more than 30 days after its release to Congress, the BLM knew what it was going to say before it came out. The GAO took surveys of BLM field offices and the report reads as if it came directly off the BLM website, and I believe that parts of it did. There was no real investigation of facts and documents provided by humane groups were ignored, especially if there was anything that conflicted with the BLM's "official" position. Of course the worst part of the report, the one that basically demanded that the BLM begin the wholesale killing of healthy wild horses in holding facilities, wasn't even expressed on the BLM site. If you haven't yet read the report you can find it on our website or the GAO's site. Everyone should read it, our taxpayer dollars paid for it. But after reading it one has to wonder why it took months to prepare since it is full of BLM quotes many of us have heard before. One of the things one has to wonder about is why the report repeatedly spoke about the BLM's census methods. According to the report, the census methods used by BLM are not only not accurate, but are under-estimating herd sizes astronomically. The method can only UNDER estimate, not over estimate. The method used by BLM are direct count plus a percentage for unseen animals and increased each year by a percentage to account for foals. This is the method the BLM stood behind for years saying that it was accurate + OR - anywhere from 15-20%. Now the GAO report says that the method is so inaccurate that it may account for hundreds of uncounted horses. They fail to follow with the logic that if it is so inaccurate the BLM should reevaluate the AMLs as the range has shown that it could support more horses than originally thought. The report cites the Jackson Mountain HMA as an example. During the Jackson Mountain fiasco over 185 horses died during the removal and holding. The report erroneously cites 150. The claim is that the BLM grossly underestimated the number of horses on the range by 640 horses. They fail to mention that the BLM claimed that they were closely monitoring the herds in the Jackson Mountain HMA due to numerous reports that the water sources were not properly filling and horses were frantic to find water. They also failed to note that the neighboring Sheldon Wildlife Refuge "lost" over 400 horses that may have been migrating between the two areas. When humane groups and individuals repeatedly asked Sheldon and BLM where over 400 horses could have disappeared to, their requests for information went unanswered. By the way, during the time the horses disappeared fences were repaired between Jackson Mountain and Sheldon, so if the horses had traveled onto BLM land they would have been trapped there with no water. One single incident cannot prove that the entire BLM census method underestimates EVERY single time. On the contrary, it is not only possible but statistically probable that they could just as easily OVER estimate census numbers. If one looks at the report prepared by the American Herds, it is not only possible but probable that the population still roaming our public lands is 20,000 fewer than the BLM estimates. 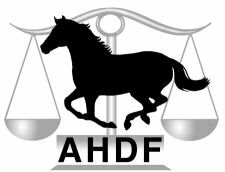 American Herds looks at the way BLM calculates the population of horses and using their own methods comes to much lower number than the BLM and below their arbitrarily determined Appropriate Management Level (AML). The determination of AML is important because it determines how many horses are removed from the range. If the AML is set too low, as it is in many areas where the AML is below 40 horses, horses are removed unnecessarily and put into holding facilities. 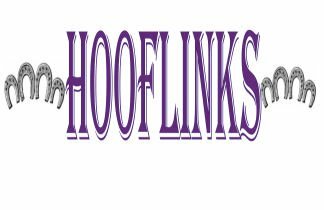 If the GAO is looking at how to handle the horses in holding facilities they should have looked at the fact that they may or may not have been gathered improperly. This is especially true when they are basically saying these horses should be euthanized. That should be the last resort as the law states, not the answer to issues that are as yet unresolved. It is possible that these horses should be returned to their rightful place on the range and not held and certainly not killed. The GAO also failed to recognize that the BLM has zeroed out herd areas in violation of the law that states that the horses are to "be managed WHERE THEY ARE FOUND" (emphasis added). For them to have decided for convenience sake that herd areas should be closed or horses not returned after disaster is not within their jurisdiction. The law trumps policy. In addition, the BLM has removed around 30 MILLION acres from the wild horse and burro program. Certainly the 30,000 horses in holding, or at least a large majority, could be returned to the range if this land is once again added to the program. Then the taxpayer wouldn't be footing the bill for their care at these facilities and the horses would be where they belong. Since most if not all stallions are castrated when they enter the holding facilities, it isn't likely that they would be genetically viable, but it is far better than their death. For these reasons and many more it is imperative that EVERYONE contact their Congressperson and Senators and ask for answers. Nothing will answer these questions other than independent assessment of the wild horse and burro population and a full Congressional investigation. The American Herds report should be cited as a comprehensive investigation that shows that the BLM census numbers are not accurate, but not because they underestimate but because they are inflating the number of horses in the wild. Since there are such widely differing census numbers it is important to determine what the correct population is. Until such an assessment is done and until a Congressional hearing is held the BLM should be prevented from killing a single healthy animal in holding facilities. Wording should be included in the Omnibus Public Lands Management Act, S 3213 to prevent the BLM from using any of their budget to "euthanize" healthy animals. Please pass this along to your friends, relatives and anyone in your address book. The lives of over 30,000 horses depend on our voices, please do not let them die because the GAO failed to do its job properly or because the BLM improperly manages the program. To find your Congressperson and Senators visit the Save Our Wild Horses website. The BLM Wild Horse and Burro Advisory Board is meeting next Monday, 17 November 2008 at the Silver Legacy Resort Casino’s Reno Ballroom, 50 East Fourth Street, Reno, Nevada from 8am to 5pm local time. Comments should also be submitted to them asking that they NOT approve any motions to euthanize healthy animals in holding facilities. Those who would like to comment but are unable to attend may submit a written statement no later than November 12, 2008, to: Bureau of Land Management, National Wild Horse and Burro Program, WO-260, Attention: Ramona DeLorme, 1340 Financial Boulevard, Reno, Nevada, 89502-7147. Comments may also be e-mailed to: Ramona_DeLorme@blm.gov . Those submitting comments electronically should include the identifier "WH&B" in the subject of their message and their name and address in the body of the message. The Commission for the Preservation of Wild Horses is also meeting 14 November 2008 at the Winnemucca Convention Center at 50 West Winnemucca Blvd in Winnemucca, Nevada from 9am to 11am. They should also receive comments. Thank you for your time and dedication and PLEASE forward this far and wide. Why hasn't a civil suit been pursued?